Using two or more graphics cards simultaneously, such as in SLI (Nvidia) or CrossfireX (AMD), can potentially lead to onscreen micro stutters. In the following article, we explain this phenomenon and when it can occur in a concise and straightforward manner. 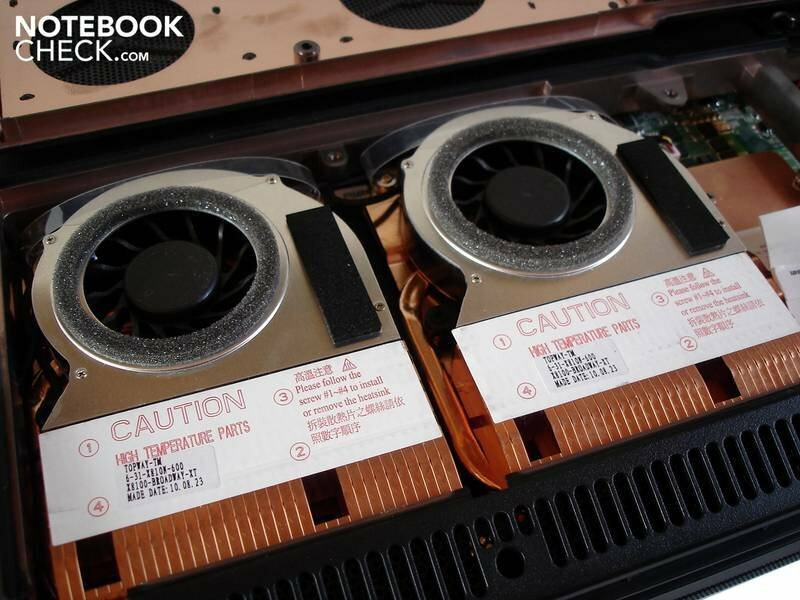 Two Radeon HD 5870M GPUs in CrossFire configuration. For users demanding more graphics power out of their systems for gaming purposes or otherwise, a discrete multi-GPU setup can be an option. The two multi-GPU solutions today are SLI (e.g., GeForce GTX 485M SLI) and CrossFire (e.g., Radeon HD 6970M CrossFire) from Nvidia and AMD, respectively, where two or more similar GPUs operate in tandem. More recently, AMD has begun offering solutions with both discrete and integrated GPU cores in an asymmetric CrossFire configuration (e.g., Radeon HD 6510G2), called Dual Graphics. Regardless of the design, each setup involves multiple GPUs linked together to produce a single output. As opposed to single GPU systems, multi-GPU systems have different techniques for splitting the onscreen workload. One of these techniques, called AFR (Alternate Frame Rendering), works by assigning all subsequent odd frames to one GPU while the other GPU renders all the even frames. In other words, each GPU would take turns rendering each frame onscreen. In theory, up to twice as many frames per second can be achieved compared to systems with only one GPU. The problem with AFR, however, is that the synchronization between the multiple GPUs is not perfect. Instead of smooth gameplay, the screen might have a short-lasting but noticeable and recurring drop in frame rate multiple times per second. If the drops in frame rates are large enough, the user will begin to notice stuttering during these moments in gameplay, called micro stutters. Essentially, the time interval between each pair of subsequent frames becomes uneven and causes the screen to “pause” for a short period of time, leading to visible stuttering and fluctuating frame rates. This issue is inherent to multi-GPU systems running games, whereas single GPU systems do not suffer from the same micro stuttering problems. Although SLI/CrossFire systems offer more frames per second, the longer pauses between two frames lead to visible stuttering. As an example, the image above shows a series of frames from Crysis 2 rendered under both single GPU and dual GPU setups over the same time interval x. For the single GPU setup, five frames have been produced at more or less equal time gaps between each frame throughout. Assuming high FPS, this should result in smooth gameplay. For the dual GPU setup, six frames have been produced instead. Logically, six rendered frames should play more smoothly than five rendered frames over the same time interval x, but that is not the case here. While benchmarks may report the average FPS as higher for the dual GPU setup, the time that it takes each frame to render onscreen one after another is staggered and uneven. If the time gaps between two frames are large enough, the user will experience micro stuttering. As for how frequent the problem is, most if not all multi-GPU systems have the potential to experience micro stuttering to some degree. Some users may not even notice it, depending on the severity of the recurring drops in frame rates. Micro stuttering, however, is more common in high-demanding games where average frame rates will likely be lower. Because of the low frame rates, the user is more likely to notice the stuttering. Less demanding 3D games should play subjectively fine and more smoothly, while 2D games or Flash would be unaffected. Note, however, that both AMD and Nvidia are constantly improving their respective drivers to minimize micro stuttering in SLI and CrossFire configurations, so multi-GPU users are encouraged to update their graphics drivers frequently. Unfortunately, the problem still exists, and with the advent of AMD Dual Graphics systems, we expect the issue to continue to some extent. The CrossFire benchmark review article on pcgameshardware.com here is a very concise article that emphasizes micro stuttering. Although their report was published in 2008 and the test subject was an older dual-GPU desktop graphics card, their results still represent the issue in worst case scenarios, which makes it easier to understand the concept of micro stuttering even further.